Partnering with a professional recruiter increases your chances at being exposed to the most competitive positions out there today and helps build your career in the right direction. The recruiters can give you advise on your interviewing, resume tips and help provide feedback on companies that you're applying to on your own. And there's no cost to you! 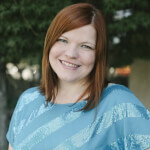 Leah Perez is the Branch Manager for Hire Up Staffing Services in the Visalia CA office. She has over 14 years of recruiting experience, mostly focusing on skilled administrative and accounting professionals in all industries. Individuals who have partnered with Leah in the past find her to be honest, ethical, and trustworthy. These things are all important in the partnership to make the best decision for your future and your career. She looks forward to helping you along your journey today!